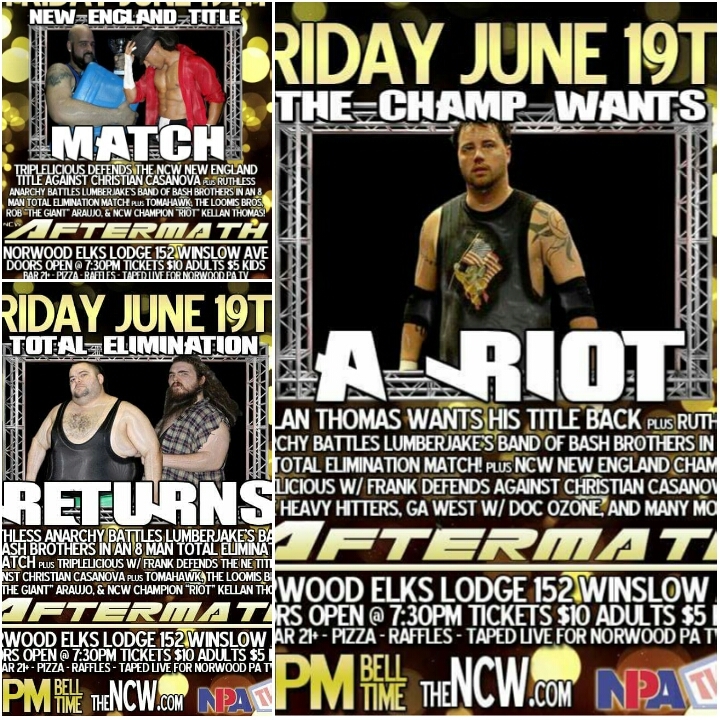 PRESS RELEASE: NCW’s Aftermath of REUNION Friday June 19th! NORWOOD- Northeast Championship Wrestling’s 2015 Season continues when we return to the Lodge of Elks (152 Winslow Avenue) in Norwood, Massachusetts on Friday night June 19th for NCW Aftermath! Doors open at 7:30 with an 8pm bell time, tickets available at the door $10 for adults and $5 for ALL kids twelve and under. On June 19th the fan favorite TOTAL ELIMINATION match returns as “Ruthless” Ruy Batello aligns with The Underground Anarchy (“Black Magic” Sean Feeney, “Slamdance” Tim Lennox, & “Bam” Brandon Behm) for what Batello claims is the first time ever as Ruthless Anarchy challenges The Lumberjake and his Band of Bash Brothers. After filing a restraining order against senior official Redd Roche at REUNION, Batello picked up a tainted victory last month in Norwood when referee TJ Richter inadvertently smashed Jake’s 4×4 right into his face while trying to pry it away from Batello’s hand during the match. 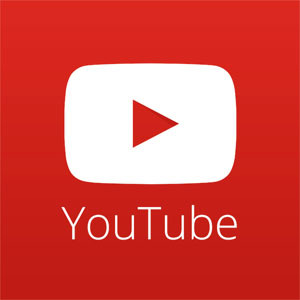 Lumberjake has yet to officially announce his teammates for the 8 Man Elimination Match, but it’s a good bet that “The Original Showoff” Mike Paiva will be on the team, competing in his first NCW match since April when Sean Feeney blinded Paiva with a fireball. Also appearing at Aftermath will be NCW Tag Team Champions David and Eddie Loomis, “Dastardly” Doug Summers w/ Ashley Vox, the returning Rob “The Giant” Araujo, “The Native American” Tomahawk, The Heavy Hitters (Champion & Cash), “Simply God’s Best” GA West w/ Doc Ozone, “The Selfie-Made Man” Vern Vicallo, “The MUTT” Ian Griffin, NCW Commissioner Dean “The Beast” Livsley, and many more! The Norwood Elks Lodge is located at 152 Winslow Avenue in Norwood, Massachusetts. 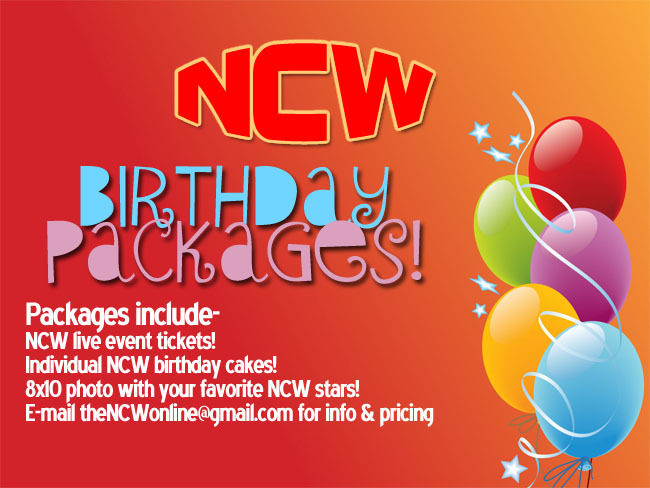 For more information on Northeast Championship Wrestling please visit us online at http://theNCW.com, like us on Facebook at http://www.facebook.com/NCWwrestling, and follow us on Twitter @theNCWtweets.